All posts Shouldn't We Be Reimbursed for the Teachers' Strikes? Ellie Symonds gives us her opinion on the UCU strikes taking place across the nation. A UCU endorsed strike in Norwich for public sector pensions. Credit: Wikimedia. The UCU strikes taking place in February and March may have a damaging impact on the 15,000 students that attend the University of Essex. 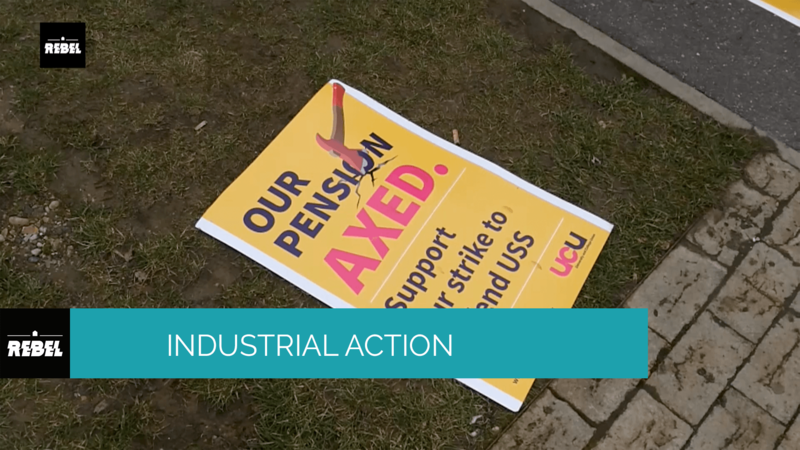 The strikes are due to occur over a period of 14 days, in response to proposed changes in the pension benefits of lecturers within the Universities Superannuation Scheme (USS). UK law states staff taking part in the strikes are also not required to inform the University in advance.As a first year student at the uni, the strike probably affects me far less than it would a second or third year, for my grades do not go towards my final degree. However, it is incredibly frustrating to know that due to the layout of my timetable, I will potentially be missing a whole term of lectures. As 2017/18 annual tuition fees recently rose to £9,250, if I were to miss all of my scheduled lessons on the proposed strike days, I would be losing roughly £1,275 worth of education. Surely, we should be reimbursed this amount? With several assignments due in March and April, and all of my exams taking place in May and June, losing four weeks of teaching will most definitely have a detrimental impact on my grades. I also rent privately in Colchester and go home on weekends, only coming in during the week to attend my classes. With the strikes in place, I will miss about a month of teaching while still having to pay rent and bills. If the strike goes ahead as planned for all of the stated dates, I believe there certainly should be assignment and exam extensions. First year student Georgina Case stated she feels the university isn’t “doing anything to reduce the disruption that the strikes are going to cause to students.” She adds that as we are treated as consumers, we should be entitled to consumer rights. There seems to be a widespread opinion among students that we should support the cause of the strike. However, I for one do not agree with the length and timing of it: If all 14 days go ahead, it will surely cause us all major disruptions and impact the final and most important term of our academic year.